The Feather/Metro/Gemma/Trinket M0 and M4 use an ATSAMD21 or ATSAMD51 chip, and you can pretty easily get it working with the Arduino IDE. 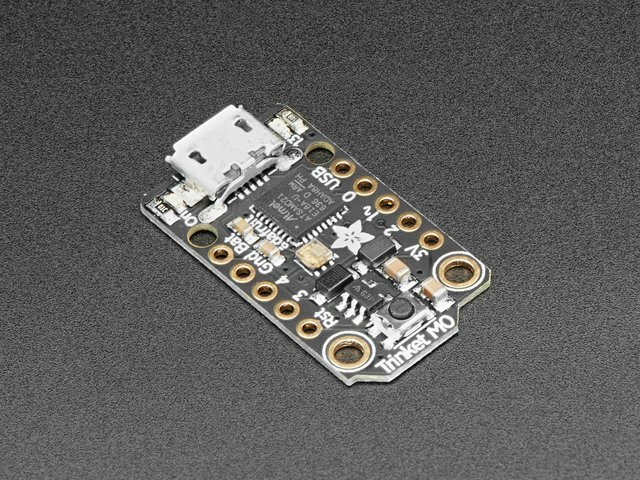 Most libraries (including the popular ones like NeoPixels and display) will work with the M0 and M4, especially devices & sensors that use I2C or SPI. Now that you have added the appropriate URLs to the Arduino IDE preferences in the previous page, you can open the Boards Manager by navigating to the Tools->Board menu. Quit and reopen the Arduino IDE to ensure that all of the boards are properly installed. You should now be able to select and upload to the new boards listed in the Tools->Board menu. Plug in the M0 or M4 board, and wait for it to be recognized by the OS (just takes a few seconds). It will create a serial/COM port, you can now select it from the drop-down, it'll even be 'indicated' as Trinket/Gemma/Metro/Feather/ItsyBitsy/Trellis! If you're using Trellis M4 Express, you can go to the next page cause there's no pin 13 LED - so you won't see it blink. Still this is a good thing to test compile and upload! If you are having issues, make sure you selected the matching Board in the menu that matches the hardware you have in your hand. After uploading, you may see a message saying "Disk Not Ejected Properly" about the ...BOOT drive. You can ignore that message: it's an artifact of how the bootloader and uploading work. If you ever get in a 'weird' spot with the bootloader, or you have uploaded code that crashes and doesn't auto-reboot into the bootloader, click the RST button twice (like a double-click)to get back into the bootloader. The red LED will pulse, so you know that its in bootloader mode. Once it is in bootloader mode, you can select the newly created COM/Serial port and re-try uploading. You may need to go back and reselect the 'normal' USB serial port next time you want to use the normal upload. Note if you're using Ubuntu 15.04 (or perhaps other more recent Linux distributions) there is an issue with the modem manager service which causes the Bluefruit LE micro to be difficult to program. If you run into errors like "device or resource busy", "bad file descriptor", or "port is busy" when attempting to program then you are hitting this issue. The fix for this issue is to make sure Adafruit's custom udev rules are applied to your system. One of these rules is made to configure modem manager not to touch the Feather board and will fix the programming difficulty issue. Follow the steps for installing Adafruit's udev rules on this page. This guide was first published on Aug 23, 2017. It was last updated on Aug 23, 2017. This page (Using with Arduino IDE) was last updated on Apr 17, 2019.